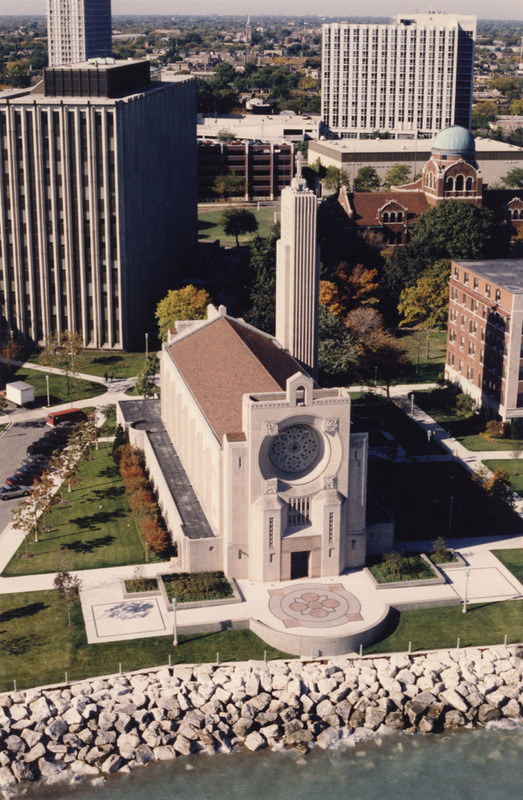 Built by architect Andrew Rebori, Madonna della Strada Chapel is a great example of the Art Deco style of architecture. The Chapel has names of Jesuit saints inscribed on the outside and crypt chapels that could originally be approached from the Jesuit Residence by tunnel. The Chapel was the dream of Father James Mertz, S.J., who raised the money for its construction. Painter Melville Steinfels stands by his beautiful fresco located behind the altar in the Chapel. The fresco depicts the crowning by our Lord of His Mother as Queen of Heaven and Earth and Queen of Society of Jesus. 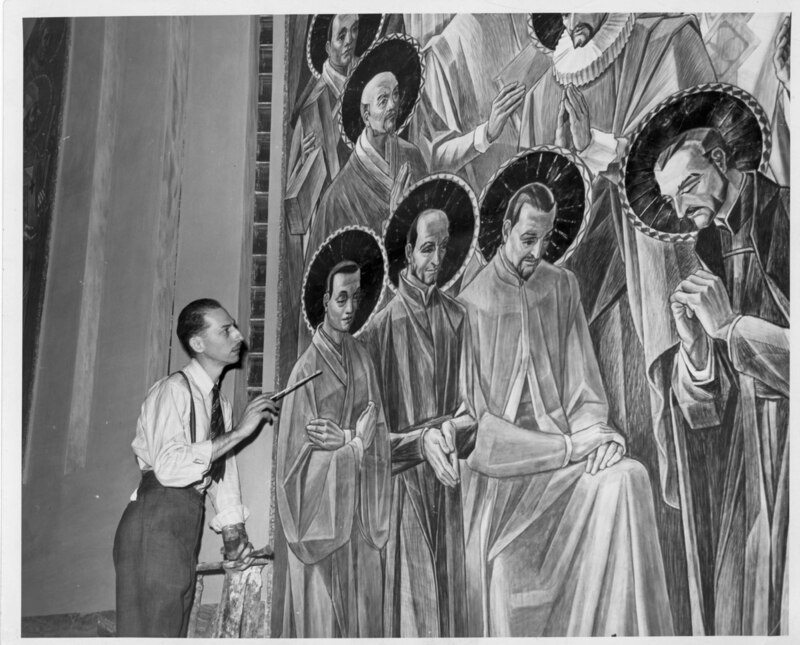 Members of the Society of Jesuits who have been declared saints or Blessed surround the fresco. 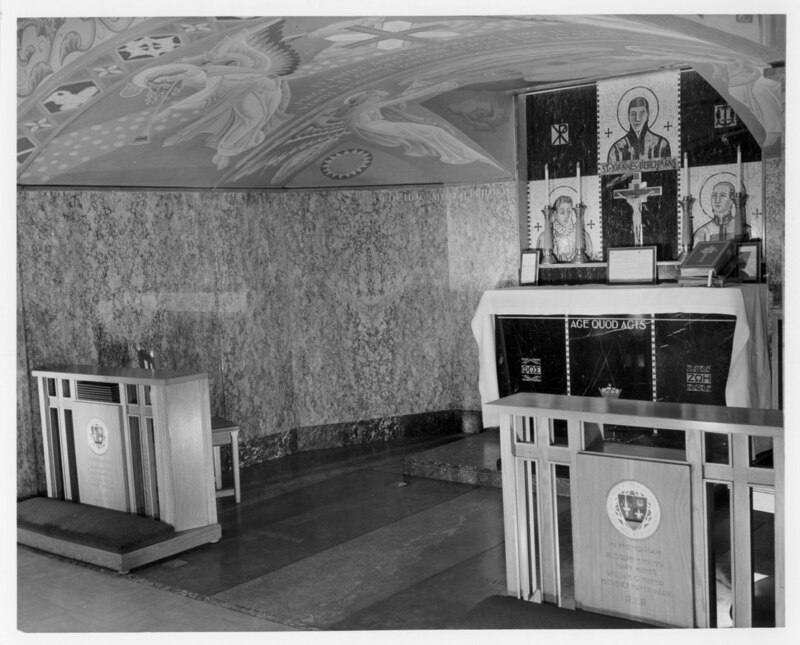 Crypt Chapel where Isable and Ivan McKenna, benefactors of Madonna della Strada, are buried. 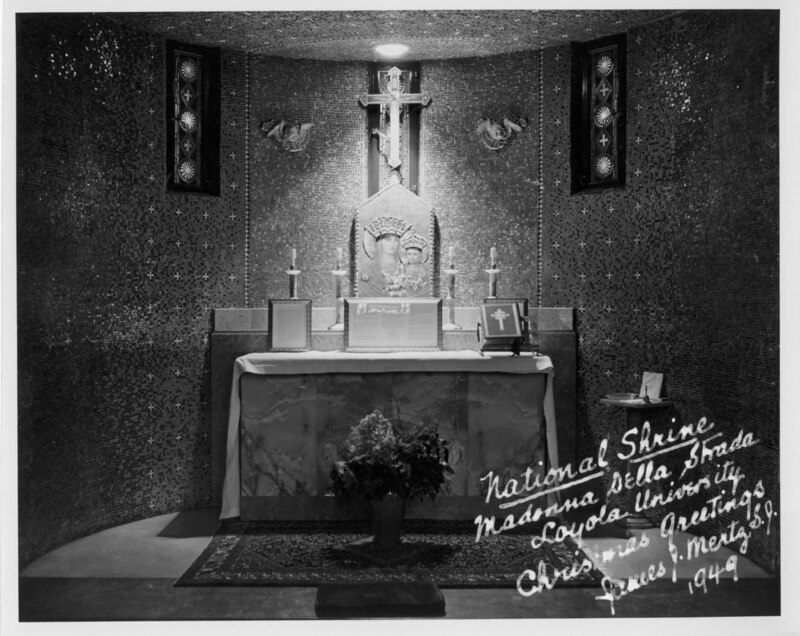 The National Shrine in the Madonna della Strada Chapel. This photo sends Christmas greetings from Father Mertz, S.J..